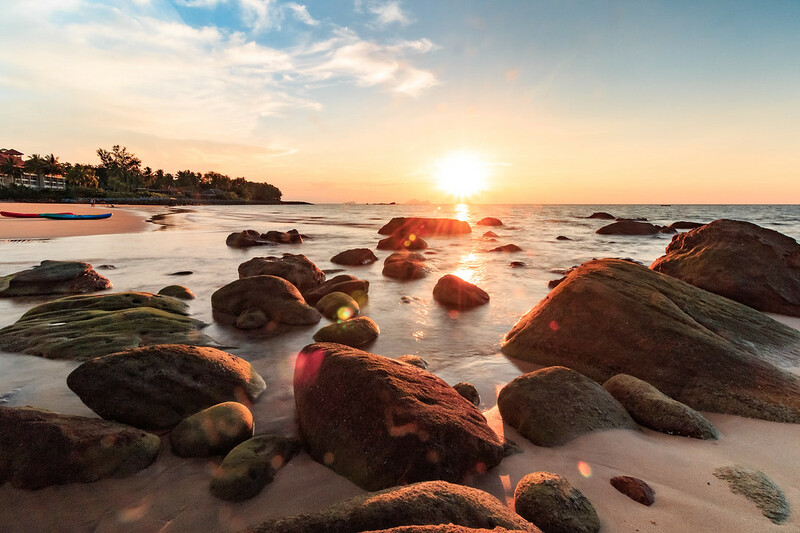 We found the perfect holiday destination for the nature lovers and adventure seekers, and the good news is, it’s eco friendly ! Located on the Santubong Peninsula in Kuching, Sarawak, Permai Rainforest Resort is an eco resort offering a wide range of adventure & nature activities in a beautiful location. 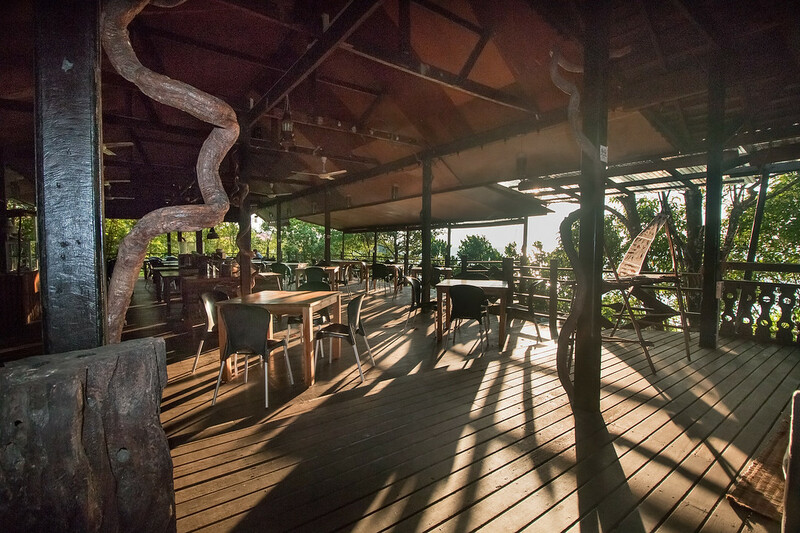 As you make your way through the wooden paths, you don’t realise how the resort actually blends in the nature. It hit me when we were coming back from our boat trip. I was driving the boat (yes really !) and I couldn’t spot the resort. I was navigating thanks to the captain — who was keeping a close eye on my boat driving skills, don’t worry ! And only him could see where the resort was located. 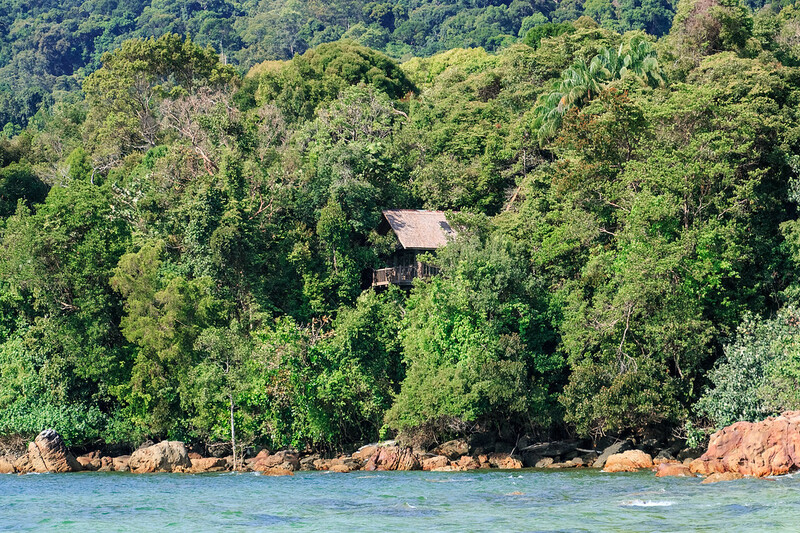 The only “building” we could see from afar was one of the tree houses, the only one that has a clear view on the sea. This is how discrete and respectful of nature the resort is. This is one of the many reasons why I fell in love with this place. But for starters, we like how Permai is taking care of the environment by implementing eco friendly regulations. 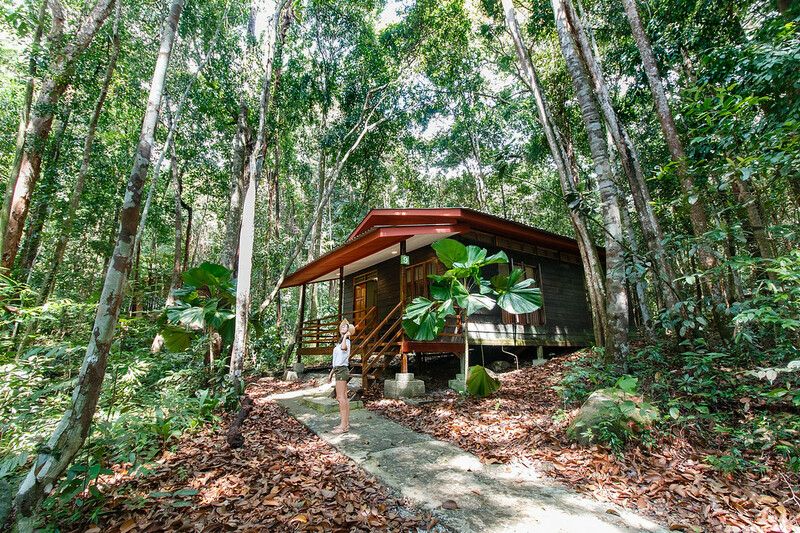 What makes Permai Rainforest an Eco Resort ? All packaging are recycled and most of the materials are reused or donated locally. All organic food waste is kept to be composted in another location. Vegetables are grown using their own fertilizer and organic soil enhancers. Energy saving lights are used within the resort, at least 92% of their lights are. Trash collection and maintenance are being organised voluntary on the jungle tracks around the resort. Permai offers 3 types of accommodation. Built on stilts, 20 feet above the ground, those tree houses will truly give you the feeling of living on the tree canopy and a view on the bay, through the tree leaves. Ideal for couples, we wish we could have experimented a night in one of them ! Nested in the forest, you will wake up to birds chirping and bugs singing. The cabins are perfect for families or groups, for a very affordable price. There are two kinds, one that can accommodate up to 6 persons, and one up to 10 persons. The jungle pool is a real delight after a long day of adventures around the resort. 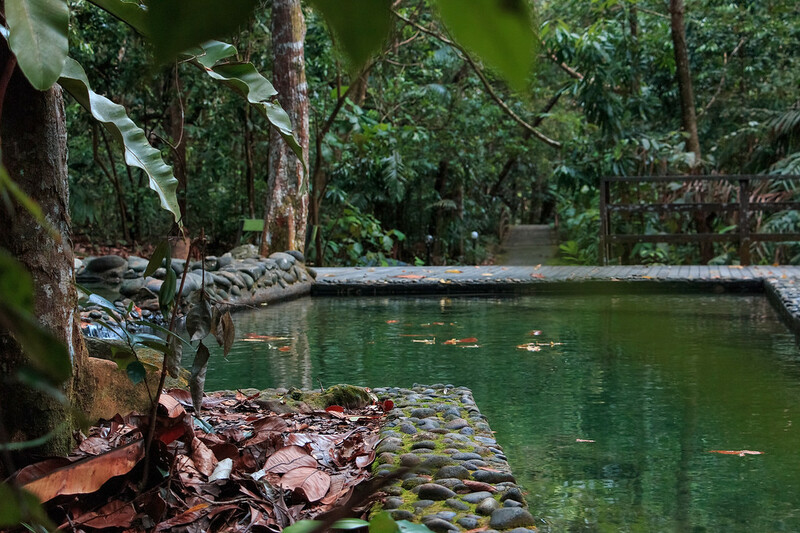 The refreshing water comes from the nearby waterfall, and its basin is made as if it as a natural lake. So much more enjoyable than a modern pool if you ask me ! 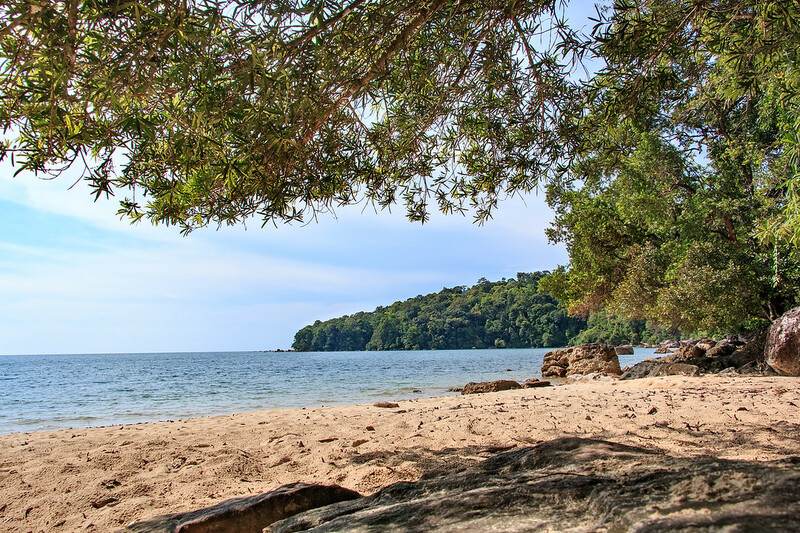 There 2 beaches in Permai Rainforest Resort. 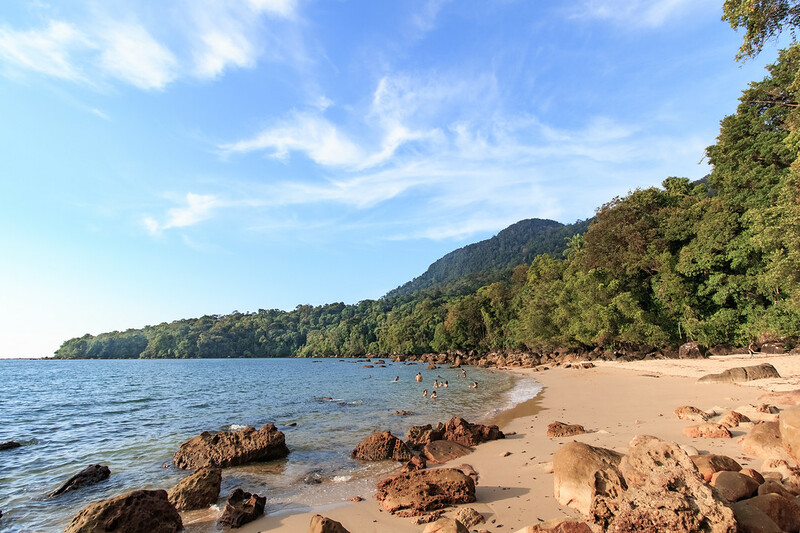 Damai beach is shared with Damai Resort and the other one is private. After walking on a stoned path you are rewarded with a lovely remote beach. Watching the sunset from there is mesmerizing. The Feeding Tree serves Halal certified food and does not serve alcohol. 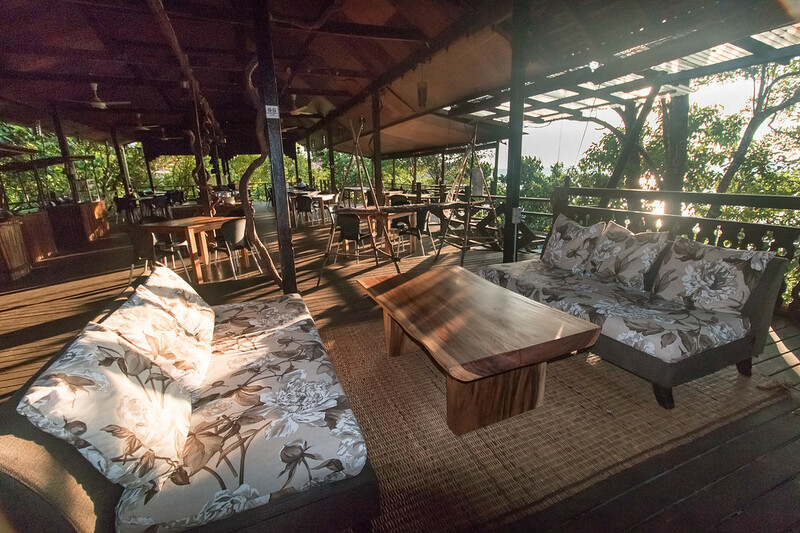 The interior has again a “tree house” feel with wooden tables and natural decorations. It has a gorgeous view on the beach, perfect for watching the sunset whilst enjoying a delicious meal or a fruit juice. The hearty local dishes served at the Feeding Tree definitely exceeded our expectations and made our stay all the more pleasant. 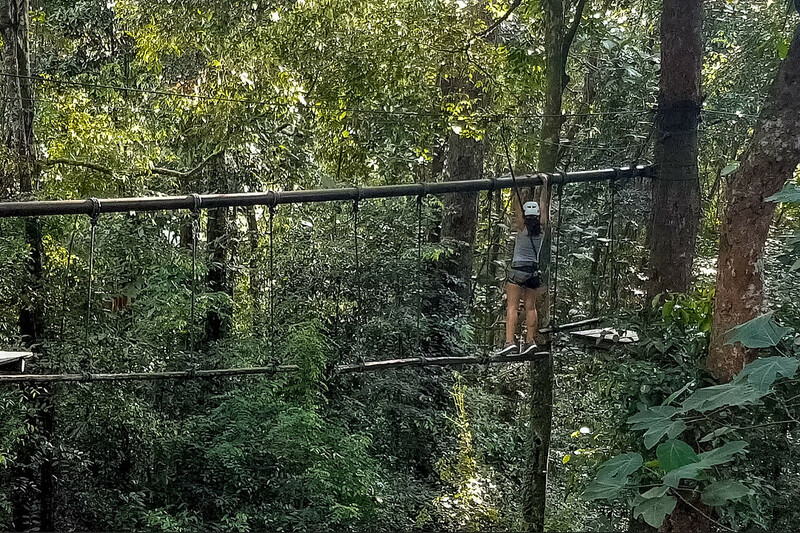 Permai Rainforest Resort is not only known for its tree house and surrounding tropical rainforest, but also for its wide range of outdoor activities. They are all very well supervised by full time highly trained instructors, so be reassured, safety is their main concern ! Here are the ones we tried, but there are many other activities like a via ferrata and climbing wall. It was a first for us and an amazing moment. 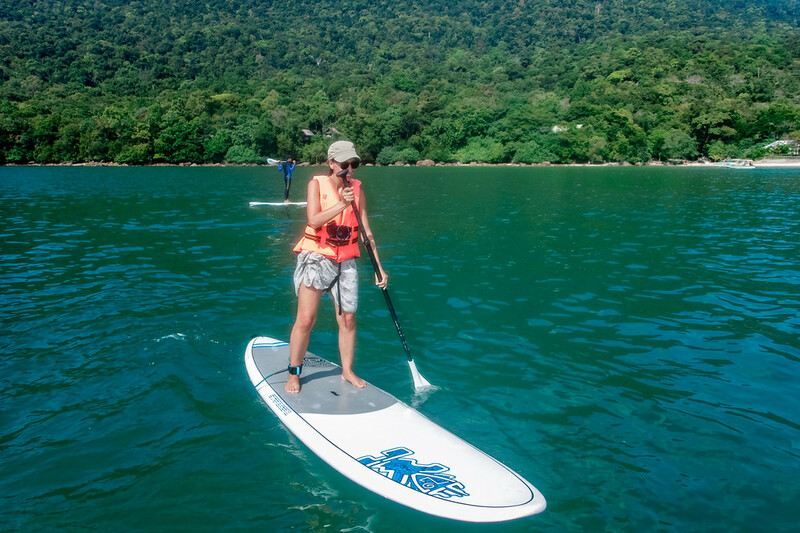 The bay in front of Permai was the perfect place to try SUP. It is definitely an activity we will do again in the future ! We both enjoying kayaking a lot and this time we tried night kayaking. It was a very peaceful moment, watching the stars and trying to see some sparkling plankton. Antoine still managed to fall into the water, which made everyone laugh ! There are several paths guests can take to explore the surrounding rainforest. It can be challenging with the heat and humidity combine, but other than that the path was very much walkable and easy as long as you watched where you were going ! 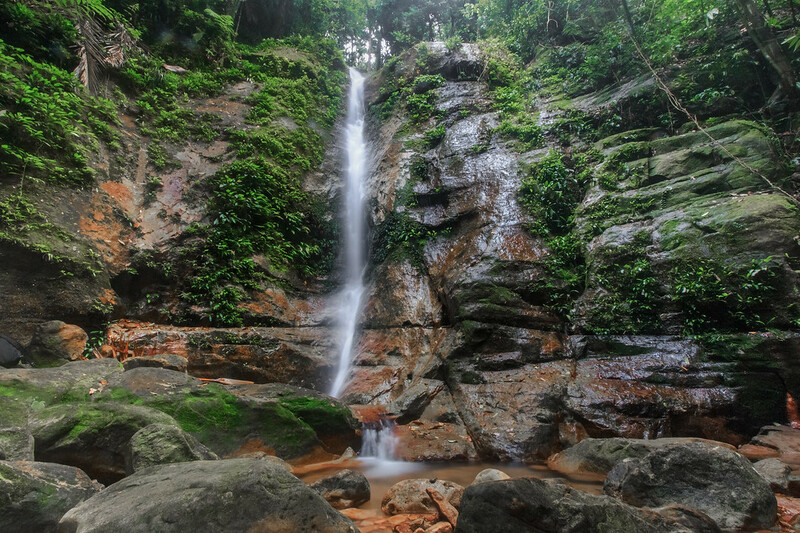 The big reward is to see the waterfall and enjoy the lush nature. 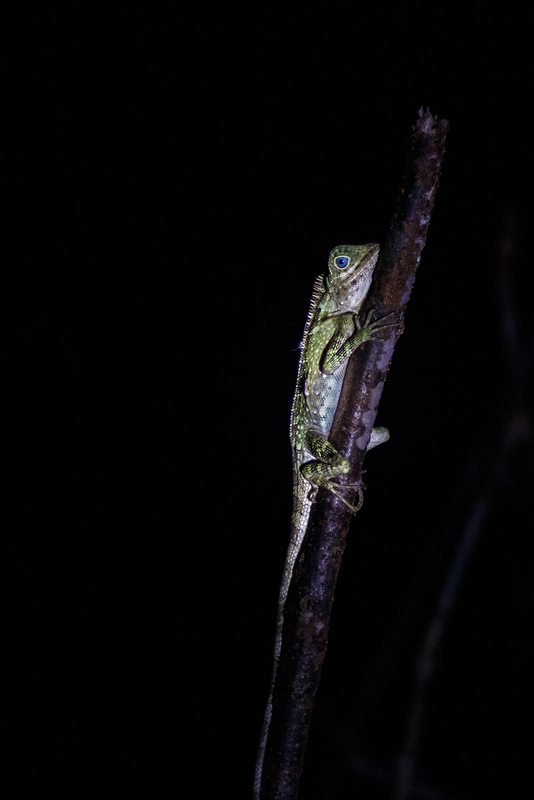 Walking through the jungle at night was a great way to spot some of the wildlife inhabiting the forest in Permai. Thankfully, our nature expert, Freddy, helped us spot all the animals around us and taught us a few facts about them. Permai Rainforest Resort is located in the Kuching Bay and near the Kuching Wetland National Park. 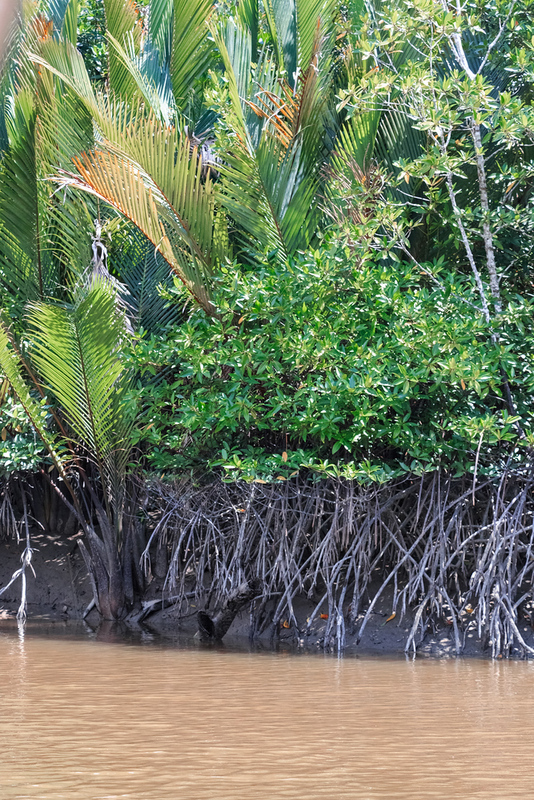 A short boat ride will take you to the nearby mangrove where you will spot some wildlife like crocodiles, with a bit of luck. We went to the mangrove the same day we went on a boat trip to spot dolphins, but they also organise night mangrove tours, where you will have more chances to see some crocodiles. 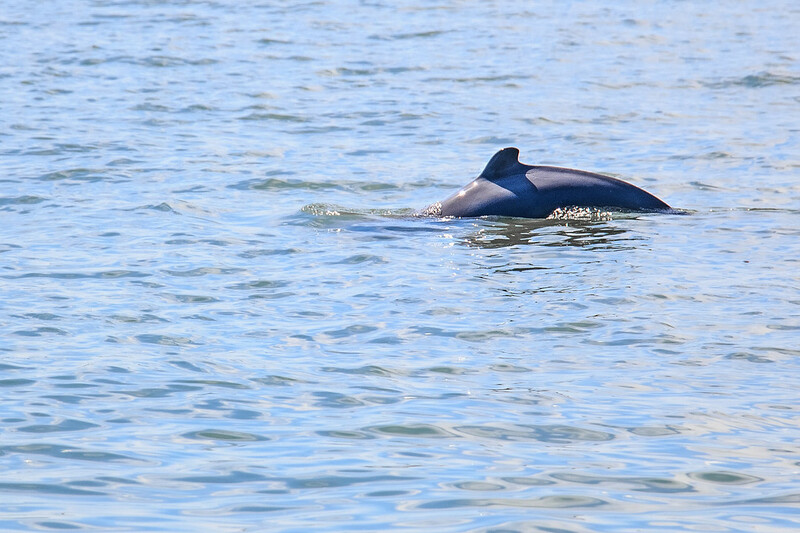 The Kuching Bay is known to be home to Irrawaddy Dolphins. 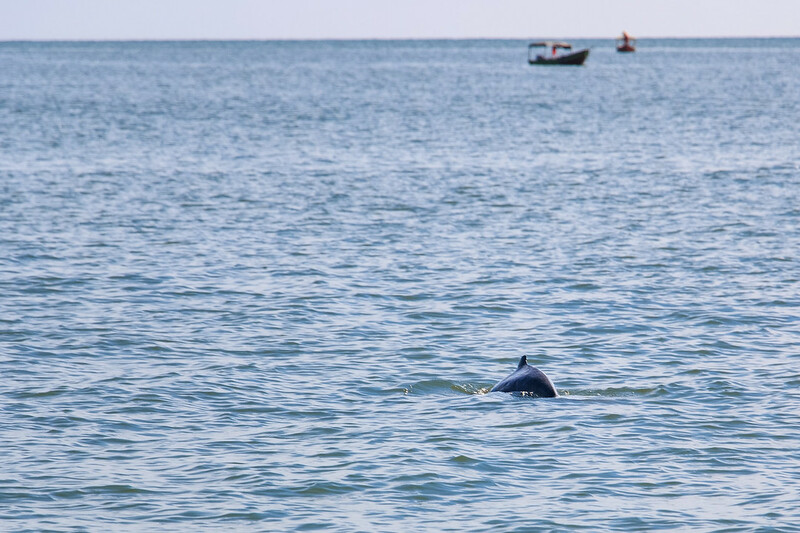 Don’t miss the opportunity to spot these interesting dolphins on a boat trip, if you (unlike us) have the chance to properly see them. 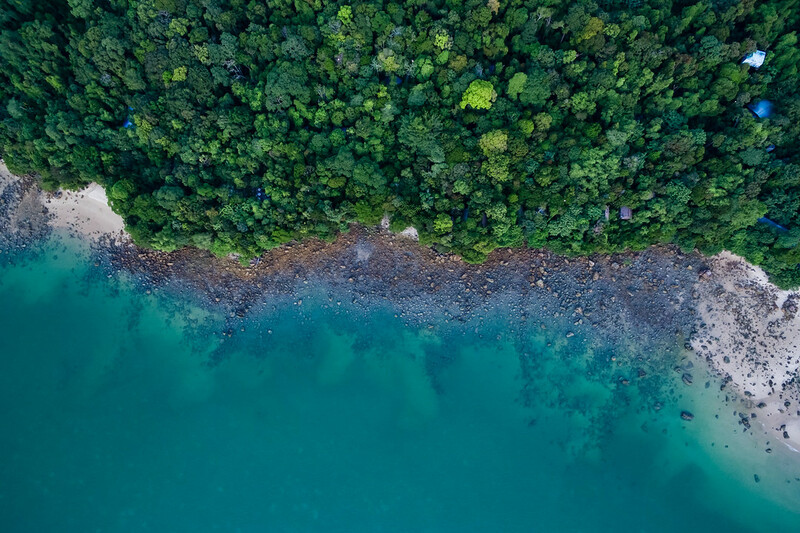 Permai Rainforest Resort partners with University Malaysia Sarawak and Shell on Dolphin Population Surveys as part of the Sarawak Dolphin Project. 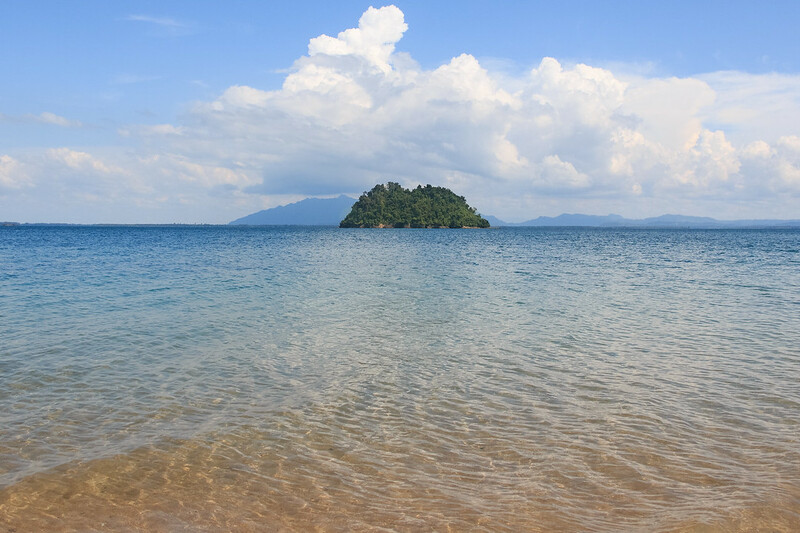 Satang Island is visible from Permai beach, and is only a short boat ride away. 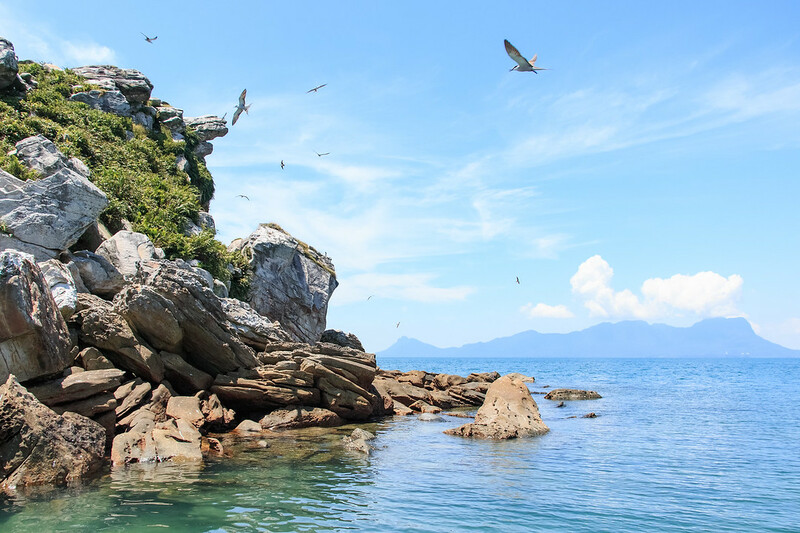 It is part of the Turtle Islands group and is a protected area for marine green turtles. 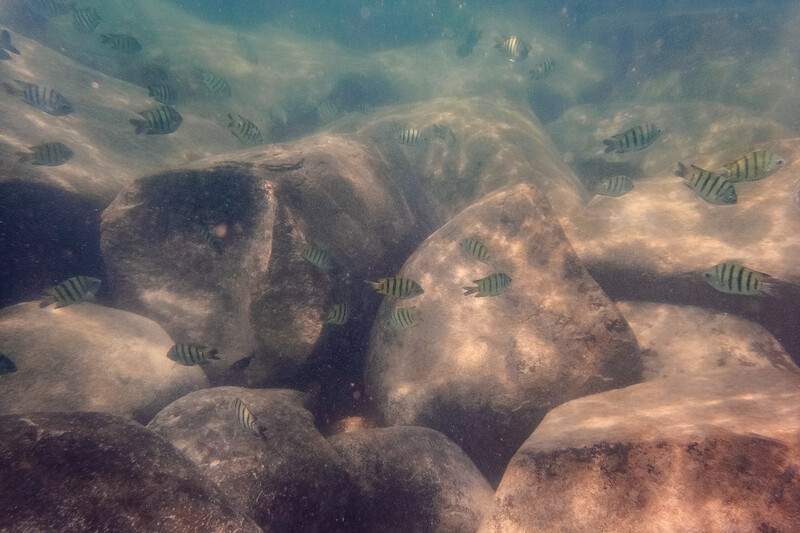 We didn’t find the snorkeling to be so interesting because of the cloudy water, but it is still worth it to take a boat to Satang to enjoy this remote little island with its turquoise blue water and gold sand beaches. Be careful of the sandflies though ! 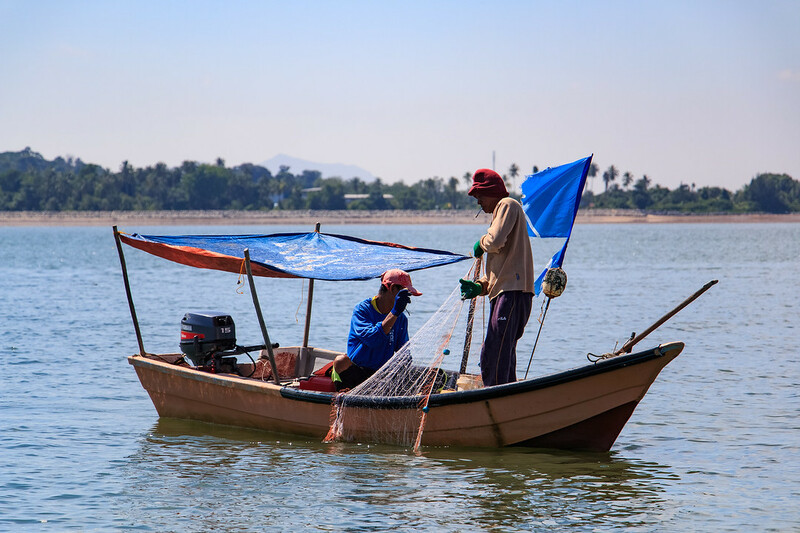 During your boat tour to the mangrove, to spot the dolphins or to Satang Island, you will encounter many fishing boats. 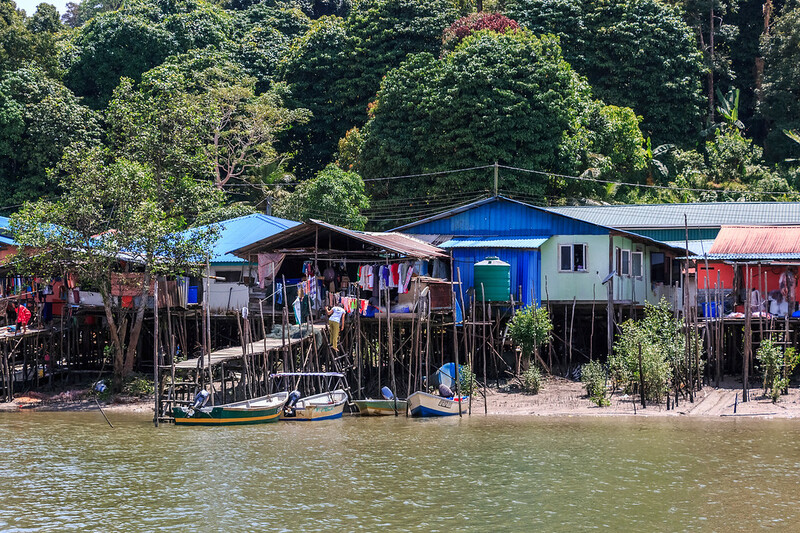 Santubong village is an old fishing village and worth stopping by to see how locals are living. We visited the bird watching tower on our way back from the jungle trekking to the waterfall and it was already noon. 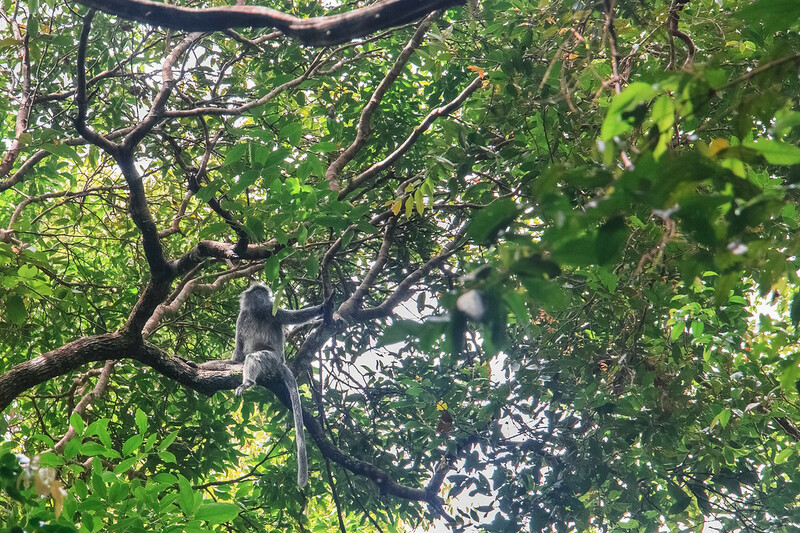 Definitely not a good time to see birds, so we don’t have many images, but we did manage to see a few Silver Leaf Monkeys. 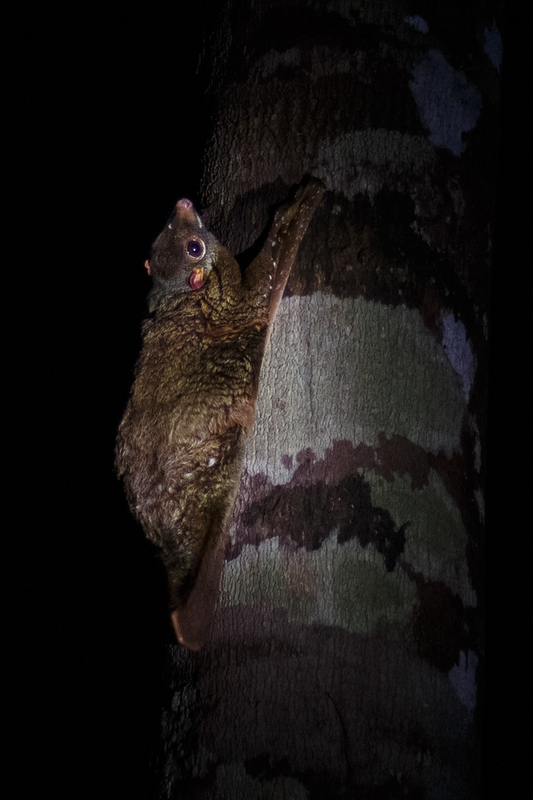 See more of the incredible wildlife we spotted at Permai Rainforest Resort and on Borneo in general. Interested to try out other activities while in Kuching ? Check out the bamboo rafting and orangutan tour package we did ! Overall, we had an amazing experience at Permai Rainforest Resort. 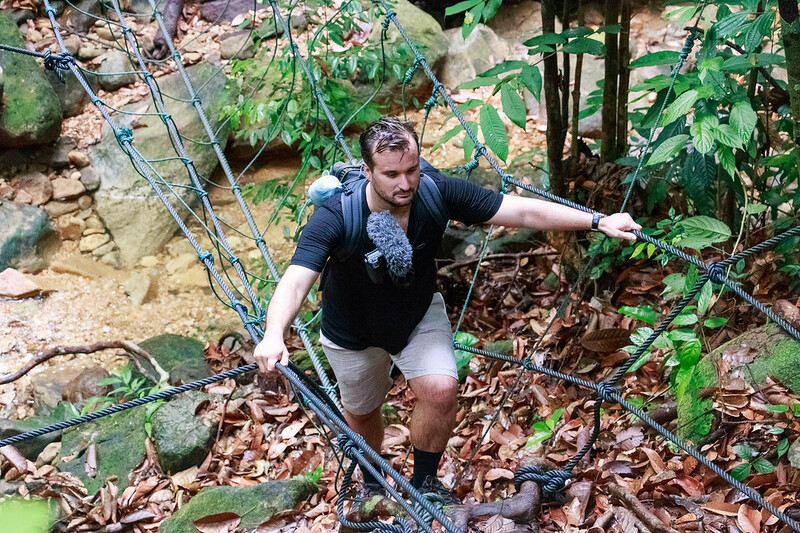 We felt like it was an incredible way to experience Sarawak’s nature and even try some activities we’ve never done before or were too scared to try ! 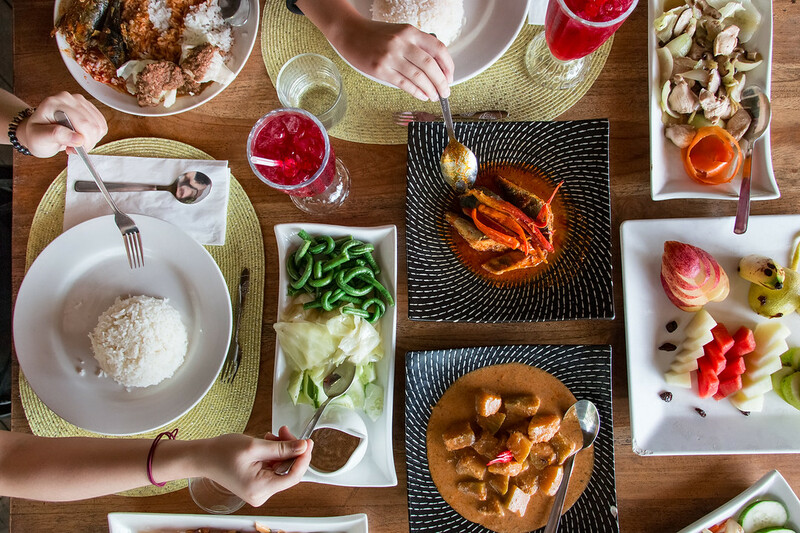 We highly recommend to visit the resort during your time in Kuching, especially because it offers something for every budget, even the very low ones ! Check out their reviews on TripAdvisor. Check out their prices and book on Agoda. City Link Public Bus : drop off at Sarawak Cultural Village, 5 mins walk from Permai. From Kuching City : RM60 (one way), 30-40 minutes drive. From Kuching International Airport : RM80 (one way), 40-50 minutes drive. Address : Permai Rainforest Resort, Pantai Damai Santubong, Jalan Sultan Tengah, 93050 Kuching, Sarawak, MALAYSIA. A huge thanks to the team and friendly staff at Permai Rainforest Resort for inviting us to live this wonderful experience ! As always, our opinion remains our own. If you click on some of the links above, we might make a small commission at no extra cost to you. Thank you for supporting this project ! 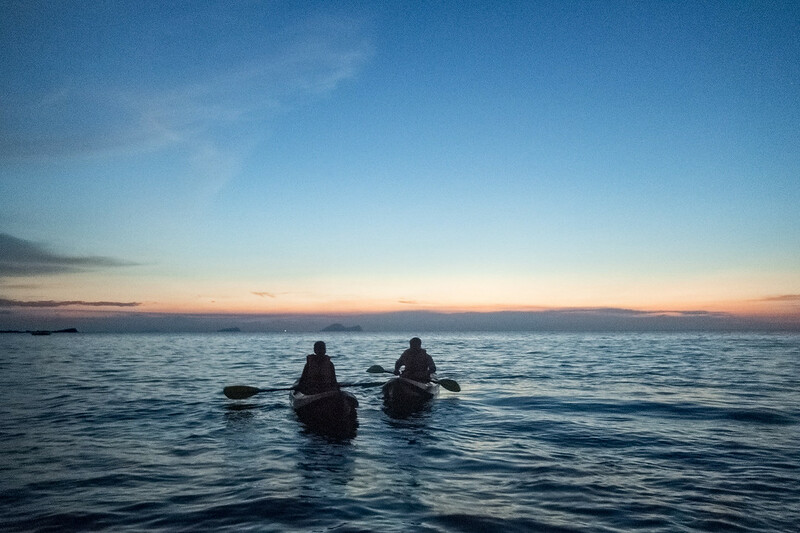 BORNEO is the second episode of Expedition 100, The Vlog Expedition's new NextGen vlog series where Violette & Antoine are taking you on an ultimate world tour seeking their top 100 most extraordinary places on Earth. Sometimes, to make your dreams come true, you have to take risks. 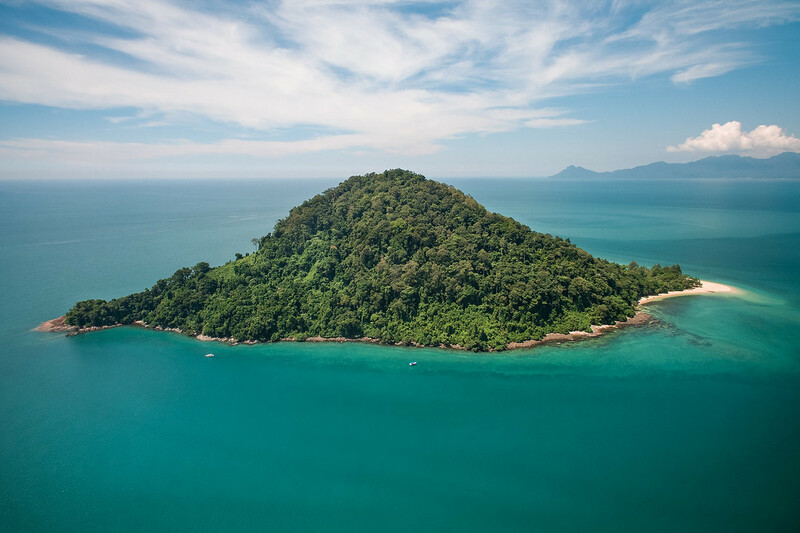 This is the most adventurous and challenging trip we’ve taken so far, and it’s to the incredible island of Borneo. 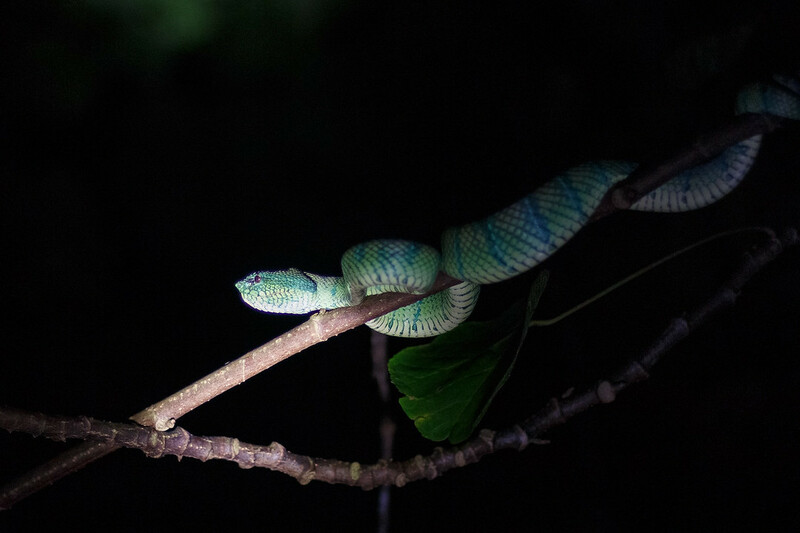 We're taking you to spot all sorts of wild animals in the rainforest and to a bit of a challenge, with some scary yet awesome outdoor activities.